What has changed after 12/03/19 for you? For most of the world, nothing very significant but when we hit in the landscape of search engine optimization, we see many businesses awestruck in response to the core quality update made by Google. Nevertheless, beans were spilled in last year itself with two consecutive algorithm updates in the months of August and September. This article will throw torch on the impact (all positive in every case) made by this update on sites like nutrition, small e-commerce, and large informational site. Each one of these is believed to have undergone changes as per Google’s Quality Raters’ Guidelines and post March update traffic for these sites has increased. It will be interesting to elaborate on the changes made by each one of them though it is not cent percent certain that these changes were solely behind the improvements in search engine results and web traffic. Considering the fact that not every business got benefited by this update, it is worth comprehending what steps they took to counteract the storm of update. What It Is All About Google’s Quality Raters’ Guidelines? The QRG is a document which is used as a textbook or guide by Google’s team of Quality Raters in website assessment. This team of raters works in close association with Google engineers, who are algorithm experts. These are the people who decide the usefulness of algorithms and when needed made the changes. It is since not possible to cover the entire lessons we get from QRG, we will highlight the QRG changes so that more businesses can lead to their respective site improvements. It is about one of the main nutrition sites that witnessed big drops in correspondence to the August update. Some recommendations were made post reviewing it and they made the following amendments. As per the QRG, raters should be easily able to find out the beneficial purpose of a page. Here, it was not like this website in discussion had no beneficial purpose to itself, but the thing is that the reason of existence was not unambiguous to the users. Reacting to the QRG, the site owner took it to the site to add content that explains the users about the things they can learn on browsing this website. They further explained why their site and business are above par of the competition. They boast about their experience and they leave no stone unturned to help users trust them more. Though authoritative authors worked for this site, but it was the result of following QRG that they were portrayed stronger on the site by writing impressive author bios that brought in more credibility and appreciation for authors’ pedigree. Adding on expertise, authoritativeness and trust (E-A-T) enabled the site to come in Google’s good books. The QRG advise the raters to catch a hold of payment, exchange and return information. Also, it is to be ascertained that you give clear contact information on your site. It is a major flaw from the perspective of users. Raters are suggested by the QRG to gather more and more of review information about a YMYL (Your Money Or Your Life) business. 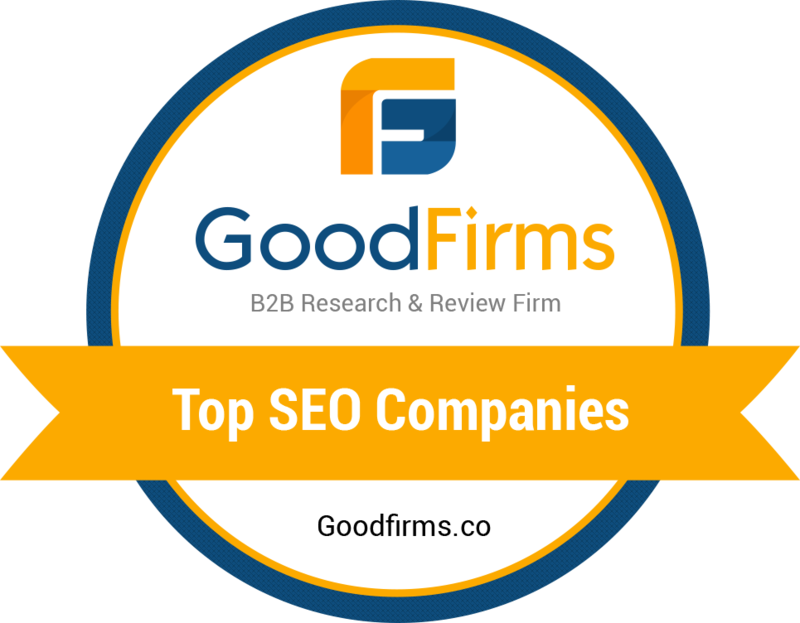 When similar searches were made for this site, it was found that majority of reviews for their products and services were one to two-stars. The site owner made his team work hard to respond to those reviews and the truly satisfied users were requested to post their review online. If you now conduct similar search, you can see a far better result in terms of enhanced numbers of four and five-star reviews for the company. • If some YMYL site has negligible reputation to be found online. •If some YMYL site has negligible reputation to be found online. Any site that has medical information, every single claim has to be supported by scientific references necessarily. At the same time, it is imperative that the medical content and scientific consensus are not in juxtaposition. Numerous sites that were hit hard by August update did not see recoveries even in March. Most likely the underlying reason was this only. Many of them are laden with medicinal theories, nutrition and treatment sans scientific backup. If your site has similar content, it is possibly the best thing to remove it from there. This site in discussion could grab favorable results post Google update because they worked on their content and made every attempt to do a fact check for every claim made. They have designed a system that helps users to identify the pieces of content which were most supported by scientific proofs. Experts see it majorly contributing to the recent improvements the site has seen as Google can better trust the medical content they have. As a result of these efforts, the site partially recovered on September 27, 2018 and almost fully recovered on March 12th this year. Agreed that this site is not medical in nature but since it takes financial transactions, it is considered to be a YMYL site. It is noteworthy that this site was not impacted by the previous core quality updates. It is highly interesting to dig inside to know what has made them a tremendous increase in traffic ever since the March update. Just like in the previous case, this site too added a text paragraph to announce why they are useful to the people. According to them, they should be considered as the field experts and they have bragged about their unique qualities to support that claim. We cannot miss to mention that their about page looks like a beautiful list of the accomplishments and accolades the business has earned so far. Just like other e-commerce sites this business had the same challenge to conquer. Nevertheless, the site had undergone important amendments that helped the company stand out of their competition. There are several products on this site and with each product page comes the manufacturer’s stock description. It was almost impossible for this site to be recognized by Google, especially when, there are hundreds of sites doing the same chore. The site owner didn’t do some different thing but the team did the usual thing differently. What we are talking about here is the unique product descriptions on their site, which included other helpful features like links to helpful guides, explanatory videos and FAQs about each product. Not to forget that QRG has mentioned it on a repeat that it is indicative of high quality if a site contains helpful product pages. Adhering to the Google guidelines not so useful pages were removed like the ones with single image and also pages which are not likely to be landed upon from any search were skipped. This case study is not only exciting but inspiring too because it was hit hard by the Google update on August 1, 2018 and few months after on March 12, 2019 it is appearing to make a full recovery. Having authors who were experts in their field is one thing but to establish such claims with acceptable evidence is the other. Backing up a claim that the article is written by a renowned or national fame doctor is highly important for Google to believe you. Unless a medical practitioner site supports their articles and blogs they are unlikely to be recognized by Google for a good E-A-T encompasses Authority. The QRG emphasizes the importance of author E-A-T by telling that medical advice written by only people with high medical E-A-T will be considered to be of high quality. Similarly, pieces of financial advice will be taken seriously only if they are coming from a credible source. Irrespective of the industry you belong to, your site has to include the articles from authoritative authors, those who have good E-A-T. More than anything it is important to deploy authors who enjoy authorities in their space. This is what this medical practitioner site seems to believe to this QRG suggestion. The team behind medical practitioner site worked hard on site’s display of E-A-T on-site and off-site as well. Onsite improvements were made by the team with the inclusion of author byline which showcased authors’ credentials and comprised of the whole list of the post written by authors and praised schooling, awards won and other relevant experience of authors. This site optimized HARO for off-site author E-A-T improvements. HARO, which is a free service that does the job of connecting journalists with sources, had their authors’ responses and site’s authors were quoted in some or the other authoritative places. As aforementioned, perpetual use of scientific research references can be indicative of high quality content. This business made better use of scientific references throughout the site. This site was never affected by any Google algorithm update. Since many years it has been around and the authority site has is commendable. But that did not stop the site owner from asking more. The site owner wanted to make further changes in their E-A-T to see more growth in the online traffic. After undergoing some effective changes the site has seen top rankings after the release of the March Core update. The site has the most authoritative author in their space. Surprisingly the author was by far not taking the credit in his name. When he realized that writing content anonymously is not doing any good to the site, he hesitantly agreed to mention his degrees, achievements including the awards and accolades. Yes! He is too humble. Going further the site was linked to the author’s page on Google Scholar which has all his scientific publications on it. And we can say since then the site owner is on cloud nine. There are some scalable measures suggested by him to deal with the Google March 2019 Core Update or any other algorithm update for that matter. • Go through the whole QRG. Yes, it has 164 long pages to it but it is all for your own good. It will help you understand how Google evaluates content. • Don’t hesitate from showing off your expertise, authoritativeness and trust on your website. Your home page and the about us page is open for writing all good things about your business. Capitalize on the opportunity. • Put efforts in making people talk about your site in authoritative places. It is though not easy but if you achieve the praises of good press and legitimate mentions, this will add bulk of traffic. • Technical issues often lead to traffic drops. Don’t ever neglect them, not even for a while. Take good care of the links you have as these links are too vocal about your overall site quality. Remember you cannot trick Google for long. • Deploy third parties to assess the value provided by your site. These unbiased opinions coming from a third party is surely going to help you understand under how much water you are. It is not very difficult to recover after March 12, provided you are willing and serious about the same. Site owners who think their content was good and provided value, recovery is still possible. And if QRG and Google Update have helped you see better ranking and massive traffic then hope you will stick to the same and improve every day to have sustained results.